Nature Camp Travels was established with the aim of creating tailor-made holidays and unrivalled escorted journeys. We work as a team and try to cover the entire north-east region of the country with different tour packages. We genuinely care for customer's choice and hence have been successful in satisfying them from our ends. We are committed to offering travel services of the highest quality, combining our energy and enthusiasm, with our years of experience. Our greatest satisfaction comes in serving large numbers of satisfied clients who have experienced the joys and inspiration for travel. The dedication that we have in our team will leave you completely at peace once you head on with us. Our passion in travelling has led us to profession. And, when your passion meets your profession the magic that it creates leaves no wonders. Similarly when we travel with you, we feel that you should get everything that we might need in the journey. That's how we plan our trips. This individuality of our organisation has made us the leading adventure Travel Company from North East and Eastern India. Wish to know the Packages that we offer? 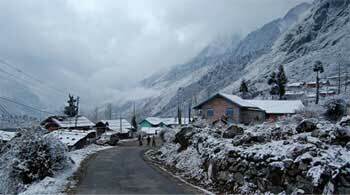 India has earned itself a slice of heaven in the form of North Sikkim. The scenic beauty that the place has to offer is beyond any imagination. You might feel you are in the midst of some heavenly creation when you visit the Lachung village or the Yumthang Valley. These places have many memories and eye pleasing sight to offer that you will remember the entire lifetime. Snuggling the Himalayas, the places in Dooars and Bhutan, gives the beautiful part of a Northeastern Indian state unlike any other in the country. The breathtaking view of Mount Kanchendzonga, the fragrance of variety of flowers, the quietness of sparkling lakes and the gurgling of rivers like Teesta make North Sikkim a destination that no nature lover should miss. We can be your guide while you look for some adventure or peace of mind, solace or romance; North Sikkim is a destination that you must plan to visit. 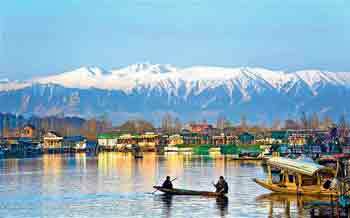 Kashmir, popularly known as the Switzerland of India can give you a joyous memory that will last a life time. So contact us if you want to cherish every place in Kashmir with enough comfort that we promise to offer. We can help you visit the extremities that the country offers with enough proficiency and dedication. The accommodation that we give along with the food is what we earn our names for. Our customers give us the best response in this genre and hence we put our best foot forward to give you the most comfortable stay. These resorts are known for their deluxe services and efficient staffs. We will make your stay in any of these resorts in a deluxe room. We provide all the basic amenities that you would need for to make you feel at home. The three course meal is provided on time to give you a routine travel so that you are never starved in the midst of the journey. Hence, it will be pleasure for us if you choose us for your next journey and give us a chance to make your holiday the best in your opinion. 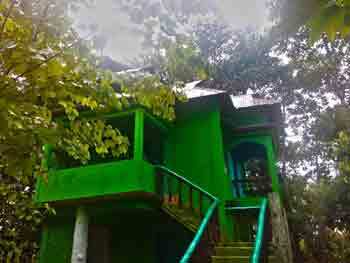 For long, Sikkim has been a tourist haven among travellers all over the world. Situated along the Eastern Himalayas range, Sikkim provides numerous visual feasts to Pelling, Gangtok, Gurudongmar and Lachen-Luchung. 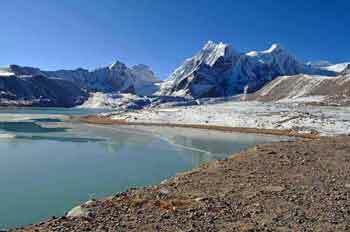 Opting for our comprehensive Sikkim tour package at Naturecamp Travels can be the ideal way to treat yourself this season for a rewarding experience. Whether you are planning a family outing or a trip with your friends, you can avail our holiday packages and discover this dreamy place like never before. 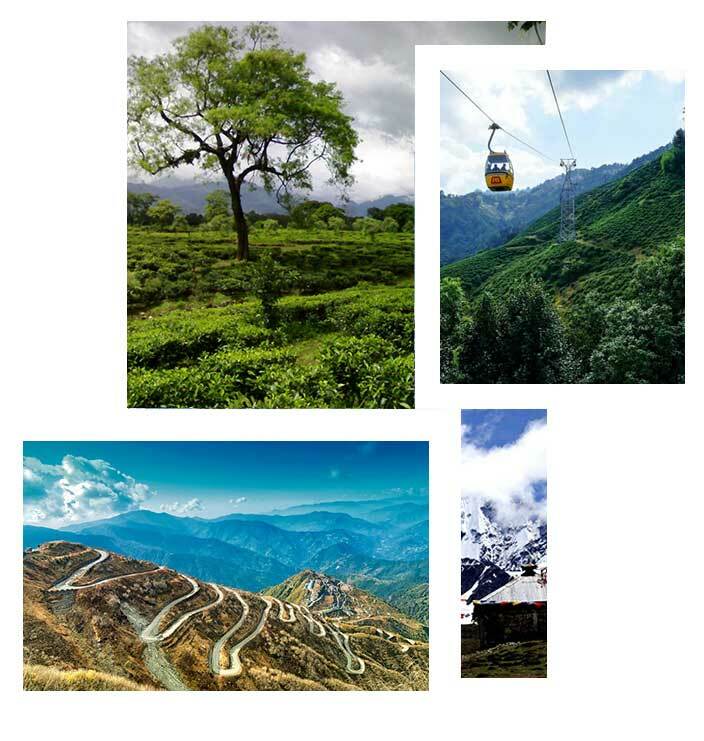 Our all-inclusive North Sikkim tour package provides tourists several sightseeing opportunities where you can easily engage in numerous recreational activities. Designed to make your trip a memorable sojourn, our amazing yet affordable holiday packages can help you explore the unrivalled beauty of this land. A holiday in this part of the country can delight you endlessly and even be a soothing retreat, away from your hectic life. Explore the unexplored land of North Eastern India with our all-inclusive North East India tour package for a memorable travel experience. 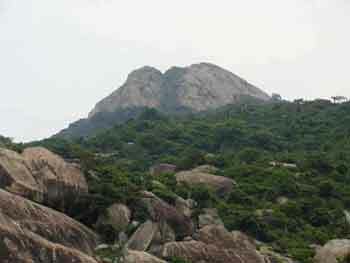 Consisting of 7 states, the North Eastern part of India boasts of its own charm which sweeps travellers off their feet. From the emerald tea estates and pristine Himalayan ranges to the wildlife sanctuaries and perilous pilgrimages, North East India offers myriad pleasures to tourists. At Naturecamp Travels, our North East holiday Packages give tourists the golden opportunity to relish the scenic beauty of these beautiful places. Our diligent team of experienced travel managers make it a point to ensure that all your travelling needs are fulfilled. We specialise in offering a range of affordable holiday packages to suit the budget of every traveller. Be it a family tour or a small trip with friends, choose from our tour packages for a rewarding experience altogether. Declared as a UNESCO World Heritage Site in 1997, Sundarban is the largest delta in the world, spread over India and Bangladesh. Opting for our comprehensive Sundarban Tour Package at Naturecamp Travels, in this holiday season can be the perfect retreat away from the hectic city life. A network of mud shores, dense mangrove forests, small islands and meandering rivers, Sundarban forms to every traveller's paradise. 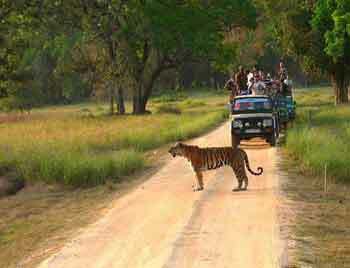 Choose from our assorted holiday packages for a memorable wildlife spotting in Sundarban. Be it a weekend gateway with friends or a family trip, booking our Sundarban tour package from Kolkata can be the ideal way to embrace the glory of this beautiful place. As leading tour operators, we make it a point to take care of all your sightseeing, accommodation, food, transportation and medical needs. To suit the travel needs of travellers with every budget, we even specialise in offering customised tour packages.